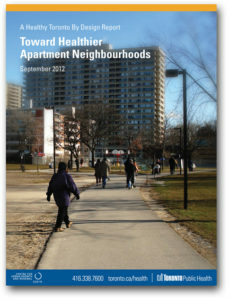 As part of the ongoing work related to Tower Neighbourhood Renewal, this report was commissioned by Toronto Public Health in 2011 to examine design tools for improved community health outcomes in Toronto’s hundreds of apartment neighbourhoods. As has been demonstrated in numerous previous studies, growing poverty is linked to poor health outcomes in Toronto’s inner suburbs, particularly its apartment neighbourhoods. This new study illustrates how public health objectives can be achieved through strategies specific to the unique urban geography and demographics of apartment neighbourhoods. Using these health themes, thirty-one strategies and design opportunities have been developed. Many of these strategies are relatively straightforward, others more complicated.  In the hands of a range of stakeholders, from residents and property owners to City staff, they provide strategic direction for the investment and action required to build better served, healthier, and more complete communities moving forward. The report also assesses the relationship of each strategy to current policies in the Toronto Official Plan and Zoning By-Laws. This assessment clearly shows which strategies can be achieved in the short term and which policy barriers need to be addressed in the long term to achieve a full range of health benefits.